Pain can be debilitating, but it doesn’t have to be. 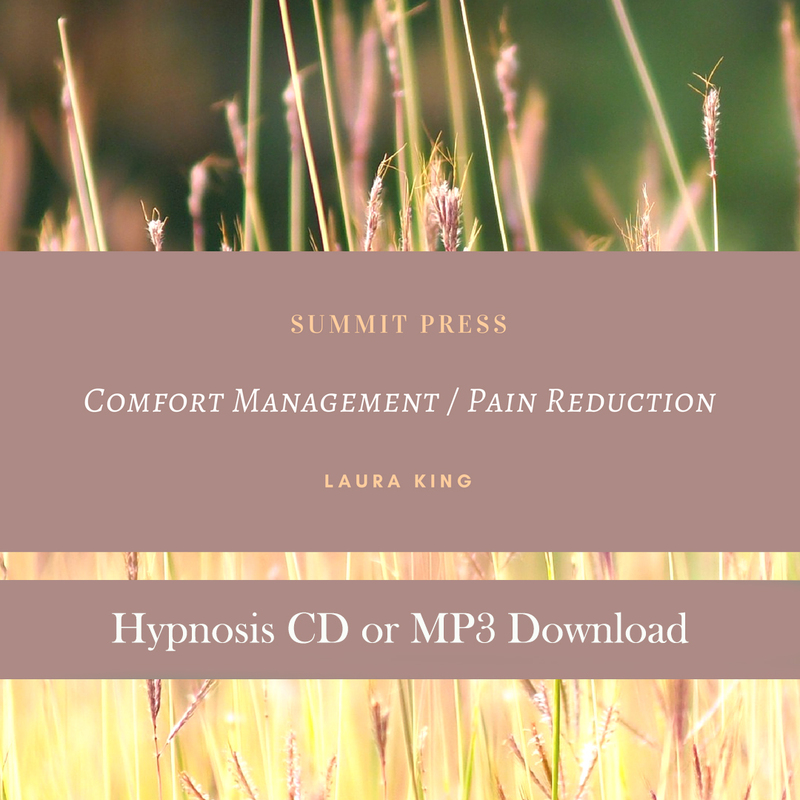 Laura created this Comfort Management / Pain Reduction self-hypnosis to teach you to use your powerful mind to control the pain instead of letting it control you. Learn to manage pain after surgery, or any other form of constant pain using breathing and positive imagery. Physical pain can seem overwhelming whether from surgery, long-term illness, back pain, or other painful physical conditions. Constant pain can result in feelings of helplessness and irritability, and sometimes you are just ready to surrender. Learn through Laura’s Comfort Management / Pain Reduction self-hypnosis session how to use your mind to control your pain, instead of letting it control you. The Comfort Management / Pain Reduction self-hypnosis session helps you manage pain through a series of positive suggestions and imagery. Listen at least 21 times to this powerful Comfort Management / Pain Reduction self-hypnosis recording to ingrain the process into your subconscious mind. Controlling pain will become second nature, and allow you to live a more productive life. When you feel good, you have more to give to yourself and your loved ones, so start listening today!